As a leading midshore jurisdiction, Labuan IBFC offers a comprehensive midshore solution that strikes a perfect balance between client confidentiality and stringent compliance with international best standards and practices among legal and fiscal frameworks. Labuan IBFC provides a unique and special proposition for fast-expanding companies, whether into, or out of, Asia and ASEAN. It offers an attractive tax system that is well-supported by a dynamic, modern and internationally recognised legal framework, competently enforced by its regulator, the Labuan Financial Services Authority (Labuan FSA). In fact, all these elements combined provide for an ideal ecosystem for regional companies or multi-jurisdictional families to house their corporate entities and dealings as well as wealth management transactions. Labuan IBFC provides a platform for companies to list in countries such as Singapore, Australia and Hong Kong. This platform offers a flexible, borderless and currency neutral base for these debutants protected by a strong regulatory and anti-money laundering mechanism. The fact that Labuan IBFC is not subject to Malaysian exchange controls, foreign ownership limitations and has a clear as well as flexible tax system, just provides for hassle free asset and investment holdings in other countries. Labuan IBFC’s regulatory environment meets regulatory co-operation requirements of most developed countries, as it is a member of the International Organization of Securities Commission’s (IOSCO), as well as a signatory to the Multilateral Memorandum of Understanding (MMoU) Concerning Consultation and Cooperation and the Exchange of Information. Presently, Labuan companies have been used as listing vehicles on the Singapore Stock Exchange (SGX), the Hong Kong Stock Exchange and the National Stock Exchange of Australia. Below are two examples of how two professional services firms, housed in a Labuan IBFC domiciled company, scaled up its ASEAN presence via Labuan IBFC. ZICO’s story began in 1987, with the establishment of the law firm, Zaid Ibrahim & Co. In 1992, ZICO Corporate Services Sdn Bhd was established to provide incorporation and company secretarial services. By 1996, ZICO had expanded beyond Kuala Lumpur and diversified its related services, by setting up ZICO Trust Limited, with the aim of providing offshore services, including trust and private client services, trustee services and Labuan company incorporation services. Between 2002 and 2012, the company entered a period of rapid regional expansion in Southeast Asia and diversified into other related services. In 2010, ZICO was incorporated under the Labuan Companies Act as a company limited by shares under the name of “ZI Holdings Inc”. By 2014, ZICO Holdings listed on the Singapore Stock Exchange’s Catalist Board, making the company the first Labuan-incorporated company to be listed on a foreign stock exchange. As Labuan is deemed as an acceptable jurisdiction by the Exchange having met all the regulatory requirements, the listing in Singapore by ZICO Holding was a smooth process. Mr Chew Seng Kok, ZICO Holdings Managing Director recounts how his company became the first Labuan entity to be listed on a foreign stock exchange. Q: Why a Labuan business registration? Why not a Singapore incorporation? 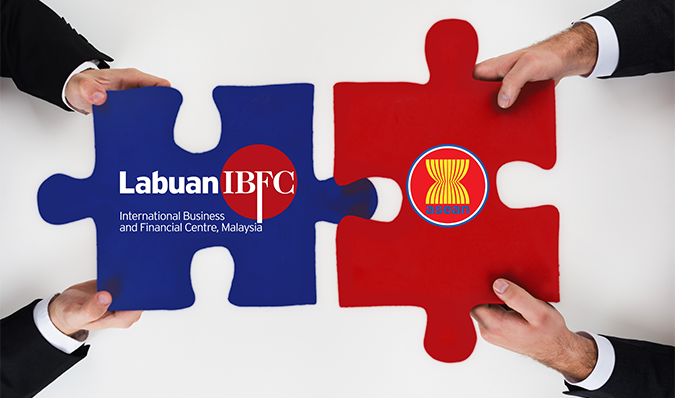 A: Labuan IBFC is a flexible, borderless jurisdiction with strong regulatory mechanisms that we can offer ASEAN clients. The fact that it is not subject to Malaysian exchange controls and has a clear tax system works well for our clients, who are looking to have an asset holding company in this region. Personally, I think Labuan is as good as Singapore or any other international financial centres. A: We are the first ASEAN-focused provider of integrated multidisciplinary professional services to be listed on SGX’s high-growth Catalist Board, which gives us a first mover advantage among our peers. The funds from the IPO gave us a war chest to expand our businesses on a far greater scale than previously, allowing us to compete more effectively. It also drives ZICO's visibility on the capital market and business front, which in turn benefits shareholders and drives considerable value going forward. The listing also allowed us to reward employees with ownership stakes that will help in driving staff retention and acquisition. A: We have regional ambitions and Singapore, as the regional hub for professional services and multinational corporations, will offer the platform to push our growth agenda further, by allowing easier access to clients and investors. In addition, ZICO established Singapore as its regional hub some years back, so the listing in Singapore is a natural progression for us. Q: And what will this mean for the business? A: It will mean a clear expansion in our client base, especially among those with a regional business presence. These clients may be attracted by the advantage of leveraging on our existing regional presence in Southeast Asia and our strength in providing multidisciplinary professional services that can be integrated to create client centric customised solutions. Thus, it provides us with a distinctive advantage against single-service providers in the clients’ respective home base. Axcelasia Inc is an integrated professional services firm providing tax advisory, business consulting, enterprise management system (“EMS”) applications and business support services to government-linked entities, public listed companies and multinational corporations. It was incorporated on 21 August 2015 in Labuan under the Labuan Companies Act as a company limited by shares. On 27 November 2015, Axcelasia achieved another milestone by listing on the Catalist board of the Singapore Exchange Securities Trading Limited. Dr. Veerinderjeet Singh, Executive Chairman of Axcelasia, shares his experience on how his company achieved this milestone. Q: What will this listing mean for Axcelasia’s business? How will the listing help the company grow? A: Axcelasia’s listing on the SGX has helped the company raised around SGD11.9 million (USD8.44 million) out of a placement of 47.5 million shares (at SGD0.25 each), which will primarily be intended to fund the expansion of Axcelasia Group, in terms of acquisition of consultancy practices in ASEAN. The funds will also be utilised to fund joint venture operations in ASEAN countries and possibly to also provide capital to start up new consultancy entities in those locations. We plan to expand into at least three countries within the next three years. We will also be looking at adding new professional services as we expand our scope of services in the near future. Q: Why did Axcelasia decide to list on the SGX via Labuan? What are the advantages from listing via Labuan? A: Axcelasia is incorporated in a tax efficient location (that is, Labuan IBFC). This helps the overall Group, in terms of arranging its business affairs, so that the relevant future income that flows into the holding entity will be taxed at a very competitive rate (that is, 3% on chargeable income). This has a positive impact on the bottom line of the holding entity and, in turn, allows more dividends to be paid to shareholders in future. With the successful listing of ZICO Holdings Inc. via Labuan on the SGX in 2014, Axcelasia’s listing would be the second listing on the Singapore Stock Exchange by a Labuan incorporated company. Q: Could you share your insights as a Labuan user? And as a corporate advisory firm does Labuan feature as a jurisdiction on offer to your clients? A: Labuan IBFC as a domicile is useful if a client needs a vehicle that carries out activities in the region and receives revenue flows which will be taxed at a very efficient rate in Labuan. As an advisory firm, our tax consultancy service entity does inform our clients about the distinct possibility of locating in Labuan if the client is looking for a tax efficient domicile. Clearly, Labuan IBFC is an appealing listing destination for companies aiming to expand into the Asian and ASEAN markets, as it is an acceptable jurisdiction by key stock exchanges in the region. It also continues to be an appealing tax-neutral destination for investors as its straightforward and flexible tax system means that companies stand to enjoy fiscal efficiency and stress-free year-end filing. With its continuous drive to offer operational, commercial and economic substance, Labuan IBFC has emerged as the ideal jurisdiction to cater to the varied business needs of Asia and ASEAN in order to connect the region’s economies, whilst ensuring international standards of tax and ownership transparency are met.